Amsterdam may have made it into the top five cities for expats in last year’s Expat Insider survey, but the welcome they can expect may be waning. With English fast becoming a native language, rocketing house prices, and Dutch traditions such as Sinterklaas struggling for survival, some Dutch residents are feeling pushed out – and one group is taking the blame: the expats. “What will be the next craze to take root in the Netherlands? Will we soon be celebrating Thanksgiving or something? Will Sint Maarten be abolished in favour of Halloween?” tweeted a Dutch native as the annual tussle between local customs and those imported by the expat community made itself felt last November in Amsterdam. 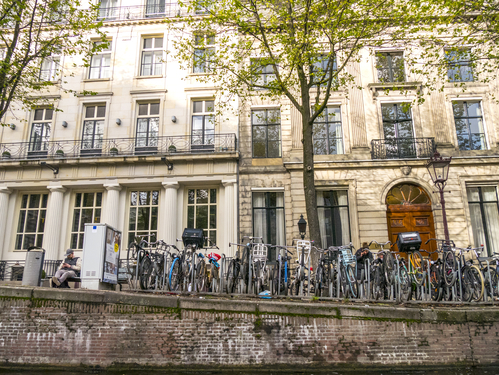 “Amsterdam must stop courting expats,” agrees another commenter who is frustrated by the hypocrisy of the recent 30-day limit on AirBnB in a city that actively lures expats with generous tax breaks. This anti-expat feeling is unsurprising. A record 38,000 migrants came to Amsterdam last year, the majority of whom were expats or students from the UK, India, or the USA. The city’s population of 845,000 is expected to nudge one million by 2050, creating considerable tension in an already stretched housing market. According to a 2017 study by Savills, Amsterdam’s housing prices are the steepest climbers in Europe, with an increase of over 20 percent in just one year. The cost of housing in the city is having a dramatic effect on its demographic, with research undertaken by the CBS between 2012 and 2016 revealing that 40 percent of young couples moved their family out of Amsterdam within four years of the birth of their first child. 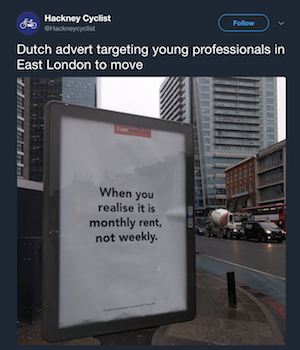 Earlier this year, the Young Socialists of Amsterdam protested against a rental market that seemed to favour expat tenants over long-term residents with nowhere to live. “Expats, are – among other factors – largely responsible for driving up house prices,” agrees Dutch national Randall McDonald, a sound designer from Amsterdam. But the situation is far from cut and dried. McDonald owes his job to a British company that moved to Amsterdam in 2008, so he can also see the benefits of an international culture. With a saturated housing market and competitive pricing, Amsterdam is feeling the strain. Simon Woolcot is the founder of the Amsterdam Shallow Man group, where expats adapting to Dutch life vent their frustrations. He is annoyed that migrants are being scapegoated. Dutch national Koen Gyzel, founder of Dutch language school Koentact, concurs. Some of the property shortage should also be attributed to a small group of predominantly Dutch investors who block-buy properties. According to research undertaken by Het Parool newspaper in 2017, there are at least 20 private owners who each own more than 100 properties in Amsterdam, with one owner, Johannes Cornelis Martinus Veldhuijzen, having more than 500 properties to his name. Some argue that the expat label and its association with an affluent corporate migrant is becoming outdated and irrelevant. New arrivals represent a broader cross-section of society and are far less pampered than their predecessors. Cushy relocation packages are fast becoming a thing of the past. Today, just 37 percent of expats get their school fees paid and only 23 percent get help with accommodation costs. Expats are also staying longer, integrating and learning Dutch. In their 2017 study, the International Community Advisory Panel found that more than half of the expats they polled planned to stay for at least five years. The city has, for many years, striven to be a hub for sectors such as technology, finance, fashion and advertising, and the recruitment of foreign talent is seen as being crucial to this goal. The highly skilled worker permit; the EU blue card; and the 30 percent tax ruling, which allows specialist workers to claim 30 percent of their salary tax-free for a period of eight years, have all made it easier for international professionals to work and thrive here. The number of courses taught in English is causing concern among some locals. The government appears to have invited this expat group and the expats have responded enthusiastically. Between 2009 and 2015, there was a seven percent increase in the take up of the 30 percent ruling, with a reported 56,000 people taking advantage of the tax break in 2015. However, planned policy changes to reduce the ruling from eight to five years may reflect a wider discomfort with expat perks and a recognition of the cost to the state, currently estimated at over €900m a year. 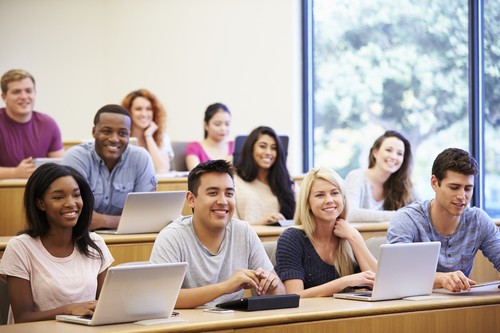 Also controversial is the number of university courses now taught in English – more than 20 percent of undergraduate courses, and 60 percent at postgrad level. The number of international students in the Netherlands has doubled in 10 years. This open invitation to draw talent from a wider international pool is not appreciated by all. Headlines like the Telegraaf’s ‘Stop Engelse Gekte!’ (Stop this English madness!) (28/2/18) reveal a division in society. Nevertheless, as expat numbers in the city have grown, the economy has boomed. An international outlook has, in many ways, brought more opportunities for residents here. Last year, the Dutch economy grew by 3.1%: a ten-year record. Contrary to the idea of a finite number of jobs in the city now threatened by an expat invasion, employment figures grew by three percent in 2016 (OIS) and around 12,000 new businesses were founded. Amsterdam is a city in flux, torn between a need to provide affordable housing for its long-standing residents and a desire to be a global centre of excellence for education, industry and commerce. Expats are caught in the middle and, like other migrants around the world, make easy scapegoats. Amsterdam is both sick of expats and enriched by them. It’s an uneasy paradox in a fast-growing city that continues to enthral skilled migrants. Are you an expat in Amsterdam? Share your thoughts in the comments below!